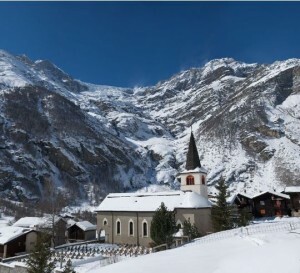 Parish church of St.Mauritis Zermatt is the focus of a vibrant community. The parish is one of the liveliest in the whole Upper Valais. Locals and visitors from all over the world attend Mass here. The first historical record of the parish church of St.Mauritius dates from 1285. It can be assumed that back then it was a small and modest place of worship. Over the following centuries, the church was enlarged and renovated several times. The predecessor of the current parish church was probably built in 1587 in the so-called Italian style. Originally the parish church had three Gothic altars. Following the custom at the time, these were replaced by baroque altars in the 18th century. On the south side of the church were the cemetery and the charnel house from 1651. 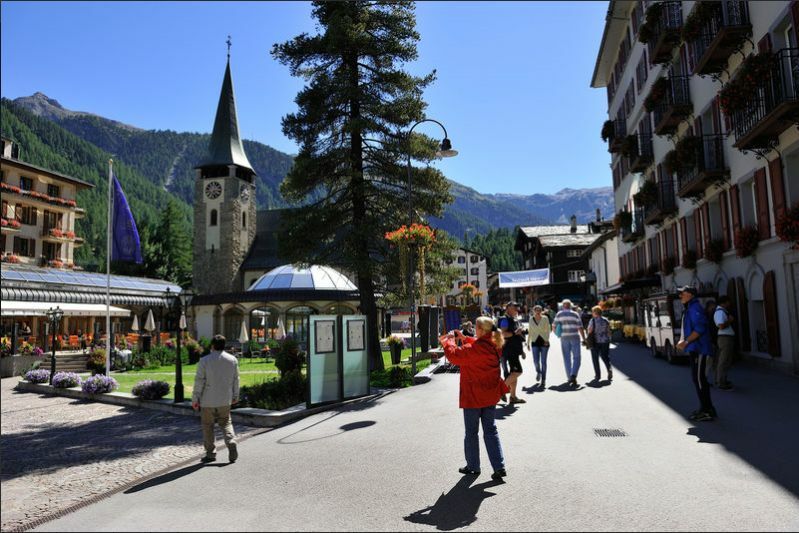 Initially the people of Zermatt did not want a new church at all. But a local vote on November 13th, 1910 paved the way from an ambitious new scheme. The architect Adolf Gaudy from Rorschach drew up plans, and on June 6th 1916, Monsignor Joseph Marietan, Bishop of Bethlehem and Abbot of St.Maruice, consecrated the new church. Ever since, the parish has celebrated the anniversary of the inauguration of the church on the first Sunday in May. The church was painted in 1920, and the clock installed in the tower in 1925. Inauguration of the big organ in 1926 and three new bells in 1932 marked the end of construction. Today’s church stands further east than its predecessors. To celebrate the 700th anniversary of the parish in 1980, the parish priest, Eduard Imhof, undertook a complete renovation of the church. Changes to the interior included removing confessionals and double benches from the aisles, taking away the pulpit, adding a celebration altar, replacing the Stations of the Cross and converting the baptismal chapel into a chapel dedicated to the Virgin Mary. The ceilings of the choir and vaulted nave were also painted. The painting on the ceiling in the center of the nave, “Noah’s ark”, is by the artist Paolo Parente from Florence and also dates from 1980. This beautiful church of St.Mauritius is listed in the Swiss Inventory of Cultural Property of Regional Significance because of its altars and baptismal font. 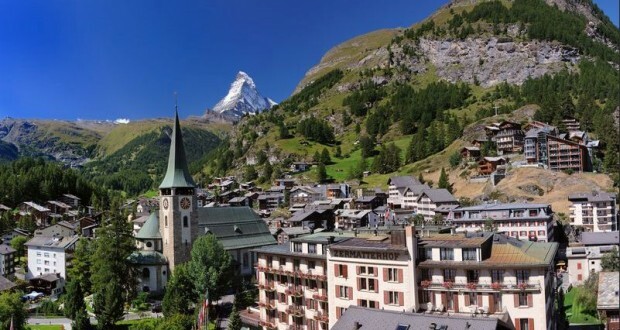 It is also another very popular church for weddings with the magnificent view of the Matterhorn from the entrance steps allowing the newly weds to take a beautiful photograph. Every Sunday and on feast days, masses and choir are sung and the church also offers a small room for memorial candles. The Roman Catholic church of Randa is dedicated to St.Sebastian. The baroque church is listed in the Swiss Inventory of Cultural Property of Regional Significance. An inscription in the old church suggests that the building dates from 1716. In 1730, the elevation of Randa to an independent parish led to separation from St.Niklaus. The original Latin act, written on parchment, is preserved in the St.Niklaus parish archive. The high altar was carved by Anton Sigristen of Glis in 1735. The wall paintings were drawn by J.Salzgeber which dates from 1932. The church is listed in the Swiss Inventory of Cultural Property of Regional Significance of its beautiful baroque style of construction.